After his exit from the band “Merryweather”, Neil and his manager flew to Toronto where Neil found his new band members. He recruited Robin Boers as drummer. Robin was in the “Ugly Ducklings”, a local Toronto band that had a single on the Canadian charts. For guitarist, he chose John Richardson who had played with the “Lords of London” and “Nucleus”, two popular bands on the Toronto scene. Neil and Morey Alexander flew them back to LA. 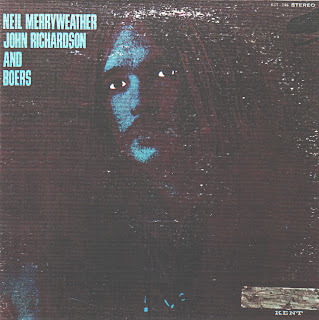 The “Merryweather, Richardson & Boers” album was recorded for Kent Records as a one-off deal to raise money to support the band, with the advance being used to rent a house to live and rehearse in. The LP was recorded in one night at Paramount Studios. Neil wrote the songs on the fly, they did a couple of cover songs, and it was done in about four hours. It was quickly mixed at Village Recorders. Neil brought Jack Velker into the crew to play organ. He was a member of a Canadian band called the “49th Parallel” that disbanded in LA. “Merryweather, Richardson & Boers” added Neil’s girlfriend, Lynn Carey, to the band for some more recordings at Kent Studios. They did covers of “Shop Around” and “Lucille” with Neil and Lynn singing a two-part harmony. Kent Records put the songs out as a single by “Mama & Papa Rock ‘n’ Family”. 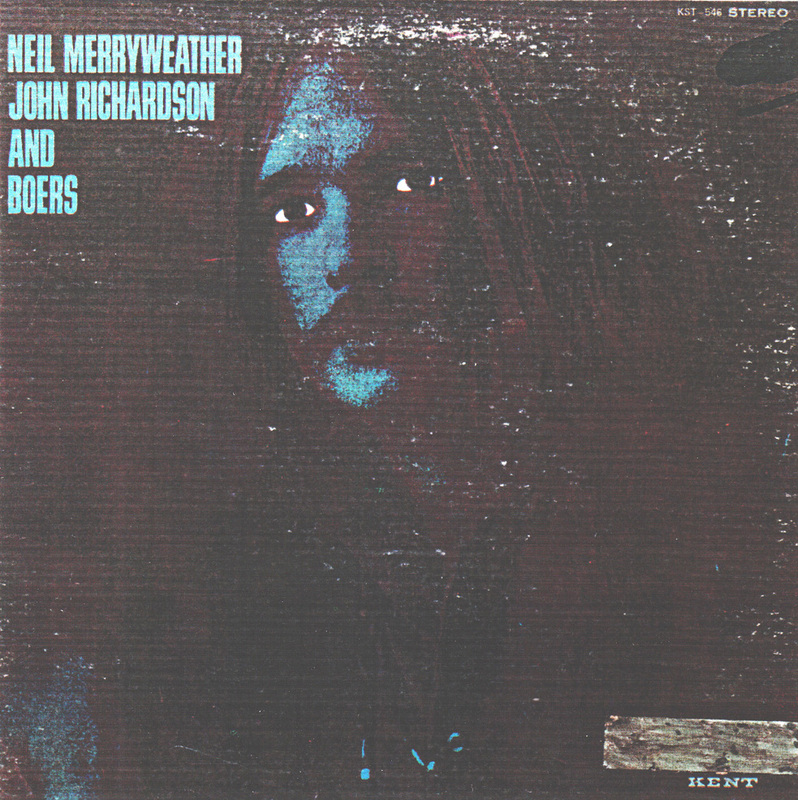 “Merryweather, Richardson & Boers” never played a live date. Thanx for the awesome Merryweather share. One of the less known Canadian groups to work on the 1960s US West Coast scene was the short-lived Merryweather, a talented bunch of Ontario musicians, fronted by former Mynah Birds member, bass player Neil Lillie (today better known as Neil Merryweather). Between 1968 and 1975, Neil Merryweather created, produced and masterminded a large number of projects, released on historical Often Family Productions label. Several of Them Were Recorded with Lynn Carey (Mama Lion, Vacuum Cleaner and Heavy Cruiser), The Others Including Sleepy Hollow, Velvert Turner and Peter Anders. The five albums released under own name historical in nature are bluesy, Being With The first ones the best, Notably Merryweather, Richardson And Boers. This album is a real gun, and a dark gem of psychedelia, in this case more towards hard and bluesy sounds. Who does not know the album do not hesitate to download it because material of this caliber should not miss in any discography that boasts excellent material, most notably, Merryweather, Richardson and Boers collaboration, "Flat Black", Merryweather and girlfriend Lynn Carey's "You Must Live It" and Merryweather's "Aren't You Glad That You Know". 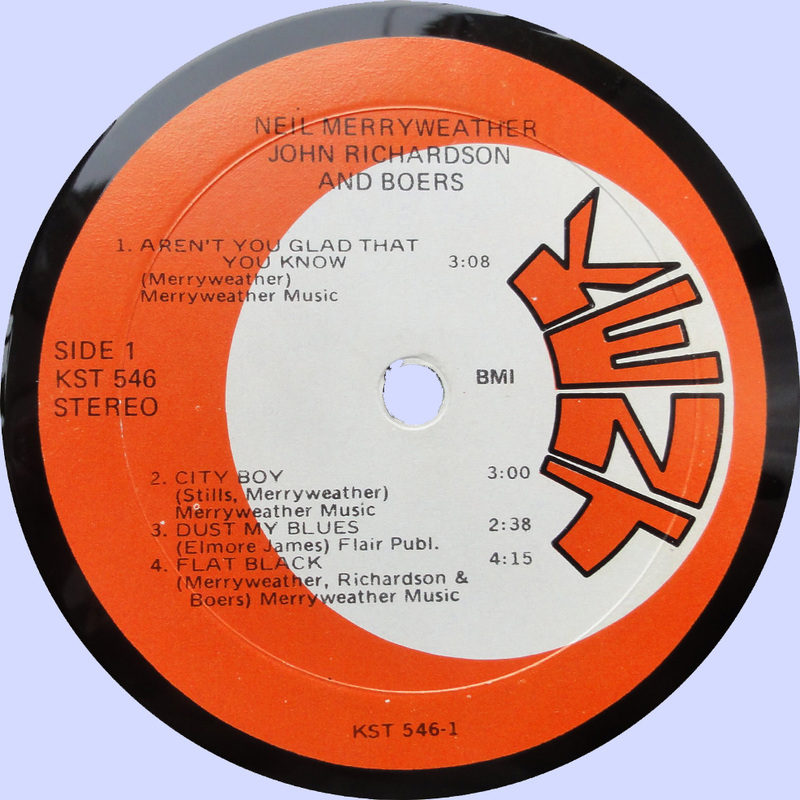 Very few copies of the album appeared to have been pressed (Kent KST 546) and soon afterwards, Merryweather abandoned the project to look for new musical partners. Got this a few years back from PHROCK (now defunct, I think), I think. This is a surprisingly good album. Thanks ,I didn't know this one.